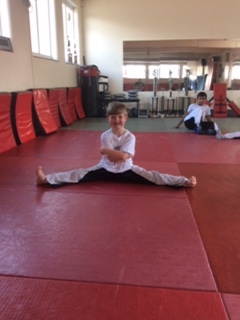 Kung Fu | Enrolling Now | School Of Hope and Glory Martial Arts. 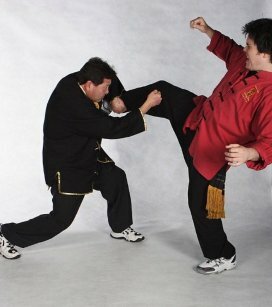 When the words “Martial Arts” are uttered the first disciplines that spring to mind are Karate, Judo, Kung Fu and Taekwondo. These few tend to lead the way and rightly so. They have been around for centuries and if my memory serves me well. For Kung Fu are talking about around 495 AD. The following is an incident about an engine failure in a giant ship. But the relationship to Dimmak is uncanny! The ship’s owners tried one expert after another. But none of them could figure but how to fix the engine. Then they brought in an old man who had been fixing ships since he was a youngster. He carried a large bag of tools with him. And when he arrived, he immediately went to work. He inspected the engine very carefully from top to bottom. Two of the ships’ owners were there watching this man. Hoping he would know what to do. After looking things over the old man reached into his bag and pulled out a small hammer. He gently tapped something and Instantly the engine lurched into life. He carefully put his hammer away. The engine was fixed! A week later the owners received a bill from the old man for ten thousand pounds! Tapping with a hammer £2.00. Knowing where to tap £9998.00. Effort is important. But knowing where to make the effort is what makes all the difference! 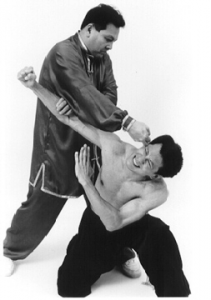 Dimmak technique being applied by Dai Sifu Pier Tsui-Po. Dimmak in a nut shell! !